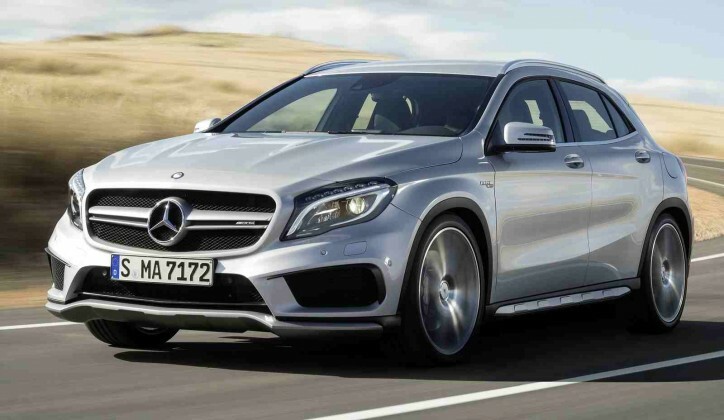 Mercedes-Benz may be adding a new SUV in its lineup. According to Carscoops, the three-pointed star brand just trademarked Mercedes-Benz GLB. The new product is poised to sit between the GLA and GLC. It is also based on the B-Class. The platform to be used in the GLB will most likely be a front-wheel drive. It would be similar to the MPV, A-Class hatchback, CLA Coupe and the GLA units of Mercedes-Benz. In an interview of Thomas Weber, Mercedes-Benz Research and Development chief, he stated that he isn’t worried of a possible cannibalization. He said that there is always room in the lineup for new vehicles. With the ever-increasing demand for SUVs in the market, he confirmed that they will be adding new models in the segment. The company differentiated the existing GLA with the upcoming GLB. The GLA will concentrate on style. On the other hand, the GLB will be focusing on practicality. The latter will offer more boot space and bigger cabin as well. The report pointed out that the Mercedes-Benz GLB is expected to carry the same powertrains possessed by its maker’s FWD models. Therefore, the possible offerings will be the GLB 200 and GLB 250 for the petrol-powered units. Then the diesel variants will be the GLB 200d and GLB 220d. The source speculates too that the AMG version of the SUV in the form of the Mercedes-AMG GLB 45 is not far from reality. There might be a plug-in hybrid model of the GLB also. Lastly, Mercedes-Benz will most probably produce a 4MATIC all-wheel drive system of the auto.